The full CORE Program is open to all students ages 16+ upon the recommendations of their IEP teams. 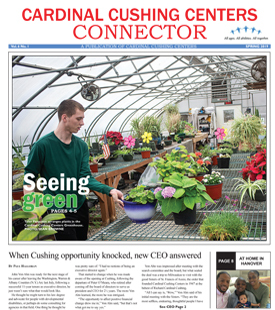 Work skills/employability experiences are available to all students at Cardinal Cushing Centers with coordination between the CORE Program and the classroom teacher. 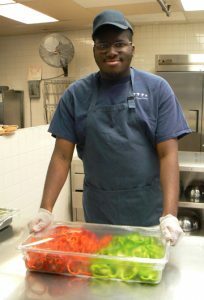 Students in the CORE Program work on the social, daily living, personal and work skills needed for successful inclusion in the workplace and in the community. The students work on general employability skills that include an understanding of the importance of following directions, working cooperatively with others, accepting supervision, good attendance, punctuality, and meeting the demands of quality work. They focus on increasing their work stamina, acquiring new skills, and learning the importance of being flexible. These skills are taught in a variety of settings using hands-on work experiences. The CORE Program offers students the opportunity to explore a broad selection of career clusters and students are encouraged to spend time in several different sites. Most of the career sites have community components and, through interaction with the public, students learn social skills in the context in which they are used. By exploring several different career options, students are able to develop more realistic career goals based not only on specific job tasks but also on different work environments and employer expectations. With recommendations from the team, the student selects an employment concentration area based on their interest and career goals. This is done on an individual timeline based on the student’s IEP goals. The CORE Classrooms are designed to serve those students who are ready to begin exploring employability skills while still benefiting from the continuity and consistency of a self-contained classroom. Students in these classrooms continue to work on functional academics, social skills, and career exploration. They learn to fill out job applications, search for jobs, and practice interviewing skills. They study different career clusters in the classroom setting and then gain practical experience as they try their skills in various vocational rotations.